Google, Yahoo and Bing provide tracking systems that helps user to easily monitor effectiveness of your advertising campaign. 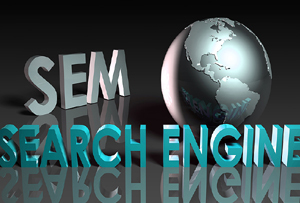 We ensure that you always stay ahead in sponsored match display of advertisements on sear engine results page. We boost your ROI through PPC ads that are high in quality score but have less CPC (cost per click). Our experienced PPC consultants help you make best use of PPC programs like Google Adwords, Yahoo! Search engine marketing, Microsoft ad Center and many more to optimize your search engine visibility and gain high quality score with minimum investment. With proper stock analysis and linguistic research, we boost your ROI through PPC ads that are high in quality score but have less CPC (Cost-Per-Click). Our job is to optimize your website with right keywords and with proper landing pages thereby placing your ads at the right position that helps you to reach your targeted audience and not just visitors who accidentally found your site. We are fully committed to finding you real, prospective leads and to increasing your sales by creating an effective PPC marketing campaign that is constantly monitored and improved.